FT-001 series time-frequency remote calibration device is a device that has been developed for the time-frequency remote calibration, using the GPS satellite common view method, it has carried out automatically to function calibration between the host institution we have. Further, by performing the network connection, which make it possible to synchronize with high precision internal oscillator for the time frequency standard of AIST, provides a small reference signal having high uncertainty of low cost reliable it makes it possible. 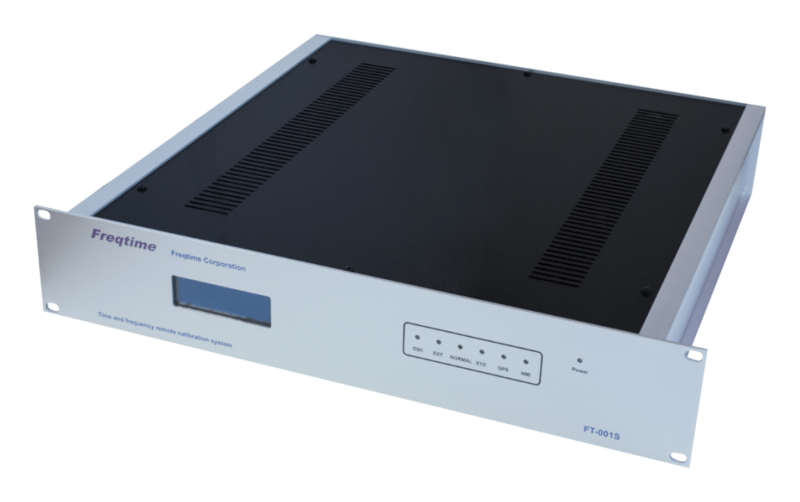 FT-001S-type, 19-inch rack built-in size, it has been developed by assuming the use of a standard room and calibration chamber of each business's buttocks, to prepare a variety of built-in oscillator to meet the needs of the user as an option we have. English edition Catalog is here. English edition Manual is here.